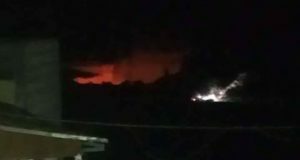 At around 2 am on Sunday night, five Israeli military jeeps, three large military vehicles, and some 30 soldiers on foot arrived in the village of Asira al-Qibliya (south of Nablus). In total silence, they started entering Palestinian houses without knocking on their doors first. That night the Israeli army raided 10 houses, ransacking them with the excuse of ‘searching for guns’. They didn’t find any. These attacks on peaceful villagers followed the same pattern: the soldiers would first break the door to enter the house; lock every family member, including the children, in one room, and take their mobile phones away so they wouldn’t call for help; then they would kidnap one young man from each house and eventually leave. In the house of Khaled Ahmad, his mother had heard the soldiers breaking the first door, so she asked them to wait a bit so that she could get dressed and open the second door herself, but they didn’t listen. Instead, the occupation soldiers broke the second door too and violently pushed Khaled’s mother away. In almost no time, 25 soldiers were inside the house. Khaled’s mother got scared and sick, and asked them if she could get a glass of water, but they refused. Khaled’s 10-year-old brother has been waiting fearfully for the return of his elder sibling; the family had told him that Khaled had gone to drink coffee and smoke a cigarette with the soldiers and that he would be back soon. The child has been waiting by the door ever since. 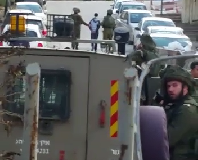 Villagers say that the military vehicles came from the Asira-Burin road, while foot soldiers walked down from the nearby illegal Israeli colony of Yitzhar. The soldiers left at around 5 am. 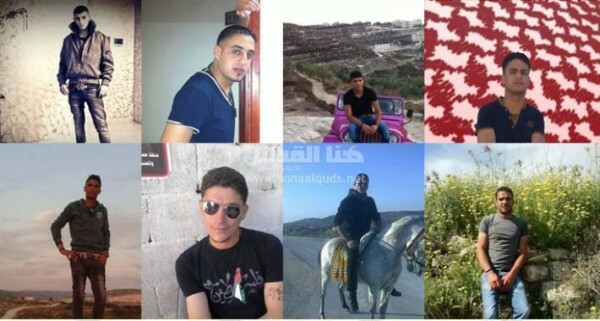 Two hours later, they phoned the families to tell them that the kidnapped shebab [youth] were being detained at Huwwara checkpoint (south of Nablus). They then hung up. All the shebab have been arrested without any reason given. The families are waiting for their safe release. 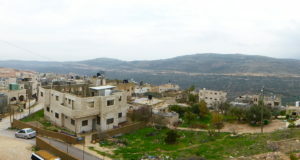 This latest attack on Asira al-Qibliya follows numerous previous ones, when the Israeli occupation army terrorized the village with a full arsenal of arms, from steel bullets to sound grenades; threatened children with attack dogs; kidnapped shebab; ransacked people’s homes; and otherwise provoked them.